Nigeria’s foreign exchange market, which plays host to various kinds of players, each contributing to the challenge in the multiplicity of rates and the ever-widening gulf between the official and the unofficial rates, produced a relatively stable naira at the parallel market last week, business a.m. currency monitoring across markets shows. The parallel market which is an unauthorised market, but plays a prominent as one of the windows through which a lot of people access foreign currency across the country, produced some variations in the price at which the naira exchange for the dollar. business a.m. reporters who monitored this market across various areas in Lagos, the commercial capital of Nigeria, Lagos state visited street currency markets at Ikorodu, Lagos Island, and Ikeja. 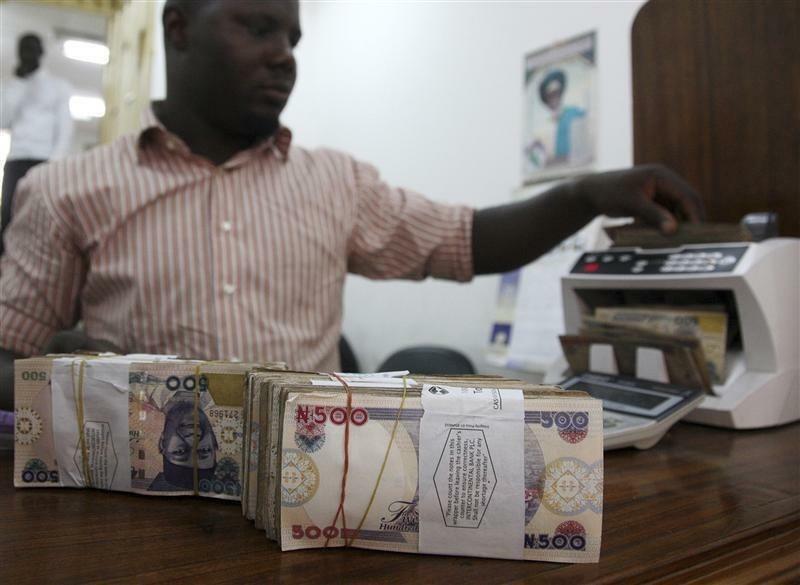 A money dealer counts the Nigerian naira on a machine in his office in the commercial capital of Lagos. Information gathered between February 5 and February 9 showed the naira averaged N359 to $1 in Ikorodu, N362 to $1, and N363 to $1 on Lagos Island and Ikeja respectively. There were no clear reasons for the slight variations except for what street traders attributed to how they sourced their dollars. On Lagos Island, Tijani Isa said the Naira was stable for three months before experiencing fluctuations, adding that the rate it exchanges for the dollar could change could change at any point in time, varying from one dealer to the other because they purchased dollar from different places. Meanwhile, the official Central Bank of Nigeria exchange rate as at Friday remained N305.35/$1. Nigeria places a lot of emphasis on exchange rate because it is an import-dependent country. It is perhaps the only country in the world with some many windows for dollar pricing, notable among which are the Nigerian Interbank Market, Bureau De Change (BDC) and Financial Market Dealers Quote (FMDQ), on whose platform the spot rate and the futures rate are quoted; there is also Central Bank rate and street rate.